Email marketing really is an art. There are so many resources online that offer tips and guidance on email design, yet even the biggest corporate sharks still make mistakes. Don’t waste your time on an email marketing campaign that won’t meet the conversion rate targets you have set. This article will provide you with actionable ideas on how to maximize your visual content and ensure that you stand out from the spam in your customer’s inboxes. Are you looking to perfect your shopping cart abandonment emails in particular? Check out our previous post. The F-Layout is a heat-mapped layout widely adopted in the design world as a template for the layout of websites and emails. The heat-map reveals where the average page viewer scans the page and reads content, with the dark red and yellow patches representing the most ‘heated’ areas of the page. This means that these areas are where the viewer engages with the page the most. It is important to bear this in mind when designing any kind of email correspondence with your customer. Place important information in the red hotspots for your customers to scan straight away, but be sure not to overcrowd these areas with too much content. For further information on how you could adopt the F-Layout into your emails, check out this guide. Harry’s, a fantastic men’s shaving accessory store created on Shopify, is the champion of simplicity in their marketing emails. This brand aims to create a continuous relationship with customers by sending useful content to them, including articles and how-to guides. The idea is that these useful pieces of content will eventually lead to a sale. This email is simplistic in design and color scheme, enabling the reader to digest all of the content. Good design leads to increased trust and a clear brand image – which in turn will lead to more conversions in the future. Using an ecommerce platform like Big Commerce & Woocommerce can be a real time-saver, with a selection of email templates for you to choose from. Images are part of your content strategy, rather than your conversion strategy. As such, they should provide your readers with context, or present them with additional information to accompany the email text. It’s best to avoid using stock images that are unrelated to your brand communications, just because they look nice and ‘decorate’ the email. If you can’t source relevant images or illustrations yourself, consider researching relevant search terms and scouring the shelves of free stock photo services such as Unsplash or Pixabay. Remember, if it’s not relevant, don’t use it! Avoid that fake handshake or overly metaphorical stock image at all costs. Decorative stock imagery can distract your user from what’s really important: your content and call-to-action. There should only be one call-to-action in your email – any more than this and your reader will be distracted by an overcomplicated visual design. Before you design your email and write the content, consider what you want to achieve by sending it. If you want your reader to use a discount code, use a simple ‘Get Discount’ button, like the Student Beans example. Being clear with the action you wish your reader to take makes it more likely that they will do so. Check out this Hubspot article for further guidance on the best practices for calls-to-action. There is certainly an art to creating visually captivating email marketing. 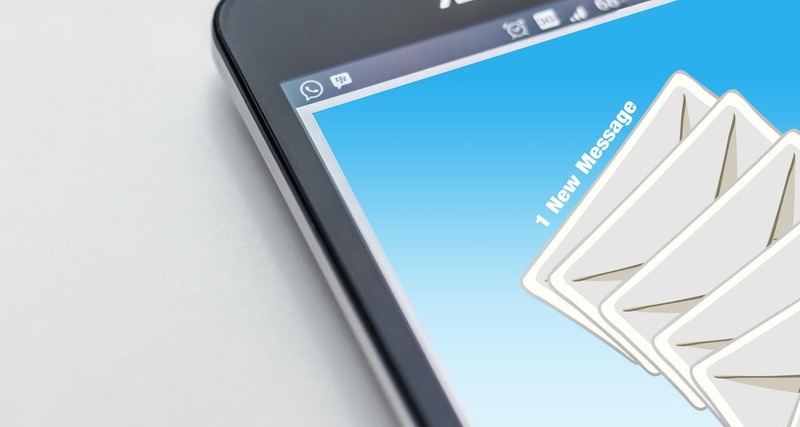 An email marketing campaign is an investment of your time and money, and it must be done right to ensure that you successfully convince your readers to take the right action. Your emails must stand out from the hundreds of other emails your customers get sent every day. Remember – simplicity and the F-layout are key ingredients for a successful marketing email. Which of these tips will you incorporate into your email marketing mix? Let us know in the comments. A freelance writer, contributing to a wide variety of digital publications. I love writing about all things digital, from ecommerce to social media. Sharing my experiences with others is my forté.